Wow – March (and winter) are finally over. Yay! 1) Had sinus surgery and it was virtually pain-free. Amazing! And my wonderful friend J took me to the surgery and helped me afterwards. 2) My son and daughter-in-law and favorite dog came home to visit for a few days. 3) Went to a John Mellencamp concert and it was phenomenal. 4) Spring weather is finally here (most of the time). Enjoyed some gorgeous days. 5) Went to a fun two-hour iPhone photography class — and learned a lot. Finally broke down two months ago and joined the 21st century by tossing the TracFone and buying an iPhone. And now I can take slo-mo movies and do all kinds of cool things with the camera. 6) Got through the dreaded week of “green snow“! 7) My blog has gotten more than 44,000 hits since I started it mid-May last year. Very cool. Hope you had a good month! 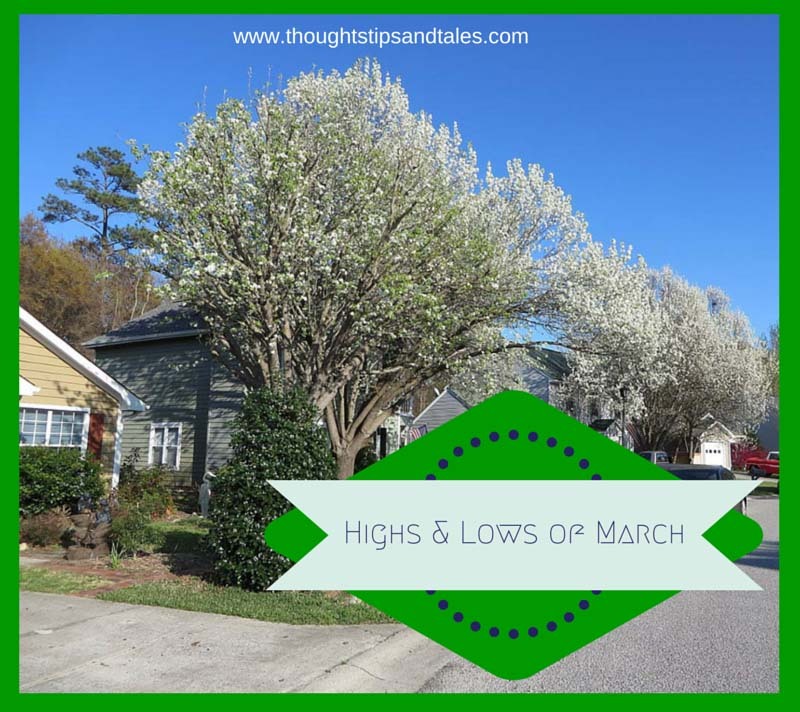 This entry was posted in highs and lows of march, iphone and tagged highs and lows of march, iPhone. Bookmark the permalink.